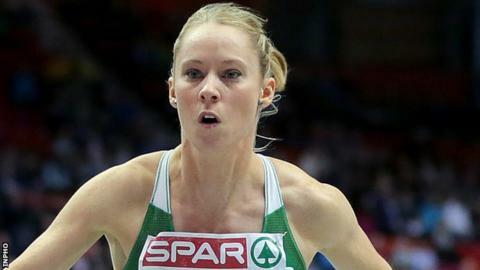 Former world indoors sprint hurdles champion Derval O'Rourke has been appointed player development manager with the Munster rugby squad. The part-time position involves working on players' personal development and general well-being. O'Rourke, who won gold at the world indoors in Moscow in 2006, retired from athletics in June after 14 years. The 33-year-old from Cork won silver medals at the European Championships in 2006 and 2010. Each of the four Irish provinces has a player development manager and they work under the Irish Rugby Union Players' Association, the body which represents professional players. The managers work with senior and academy players and O'Rourke was introduced to the Munster squad on Monday. The IRUPA's communications chief Sara-Jane English said they were pleased to have someone of O'Rourke's experience involved with Munster. "She understands what it takes to achieve at the highest level of sport and has always been a strong advocate of the importance of athlete and player welfare," she said.